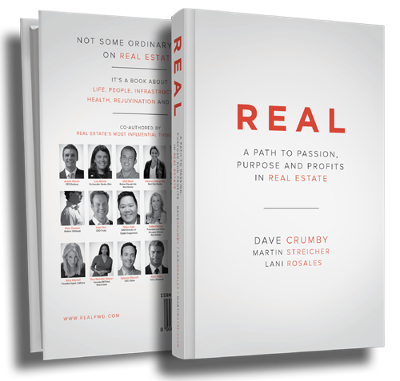 REAL - Not your Ordinary Book on Real Estate. 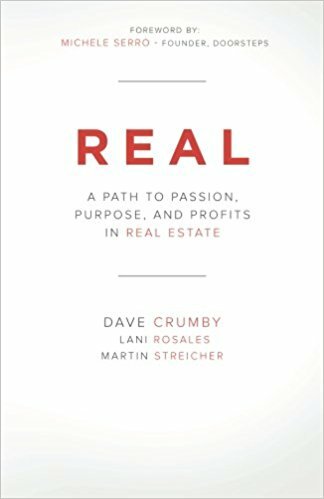 Learn how forging deep and real relationships has to be the foundation of any successful real estate business. Gain perspective on how to meet and talk to three new people a day, which over the course of three years will net you a well-populated portfolio of people you actually like that enrich the quality of your life. Strategies from 18 notable figures in real estate share the commonality that the most important thing you can do is follow "your own star" when it comes to running your business. Save yourself some money and time and GET REAL!